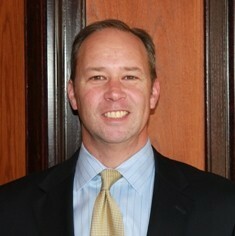 Mark has been working in the financial services industry since 1993 and is currently with Baystate Financial. Today, he leads Baystate’s Annuity department. Prior to joining Baystate in January 2006, he was a Regional Vice President with MetLife Investors covering upstate New York and western Pennsylvania. Mark began his career as a Financial Advisor with New England Financial in Worcester, Massachusetts. Two years later he transferred to New England Financial’ s corporate headquarters in Boston and held various positions in marketing and training. In the fall of 1999, Mark joined New England Financial Annuities as Regional Marketing Director and joined MetLife as a Regional Vice President in 2003. Mark received his Bachelor of Arts from Saint Anselm College in Manchester, New Hampshire. He enjoys all sports, especially golf. Mark grew up and resides in Holden, MA with his wife Kim, their daughter Megan and son Patrick.